IT is reported from Brussels that in view of the successful experiments made with his new monoplane, fitted with flexible wings, the aviator Goffaux is now making arrangements to fly from Ostend to London and back during next month. BRUSSELS AUTO AND FLIGHT EXHIBITION. - General view of the main hall taken from the aviation section of the building, the cars being seen at the further half of the hall. 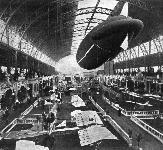 The dirigible suspended from the roof is the "Belgica." 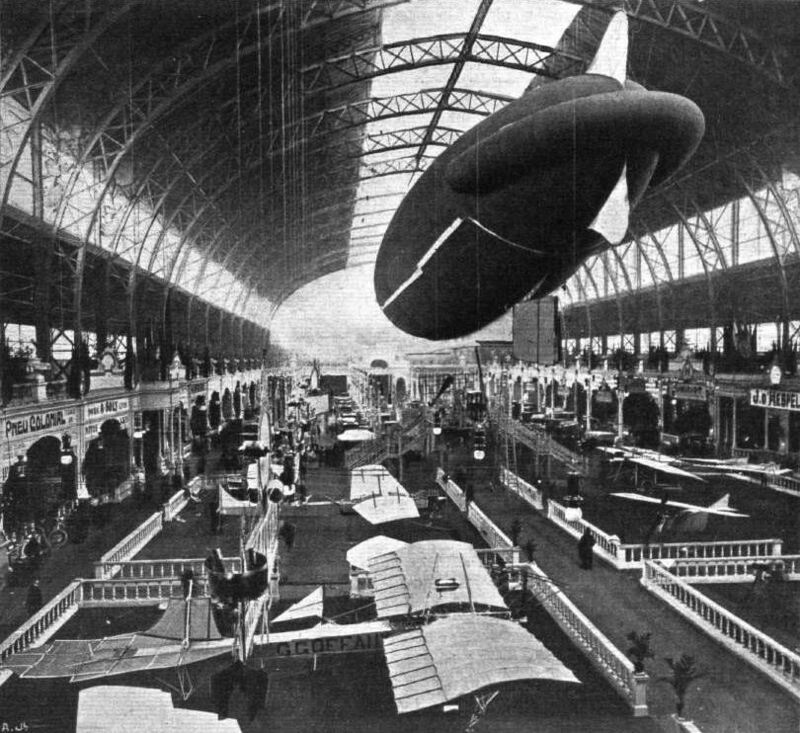 This is equipped with wireless telegraphy, and the staircase seen in the centre of the building leads up to a platform from which visitors can examine this and the aeronaut's car and the motor. The monoplane seen immediately in the foreground is the "Goffaux" machine.